My mom has served this soup as part of lunch on Christmas Day for as long as I can remember! She always did a “Soup and Sandwich” theme, with several different kinds of soup and all the ingredients for make-your-own sub sandwiches. This kept Christmas meal preparations fairly simple, while still being a meal that we all looked forward to! White Chicken Chili is a nice change of pace from regular chili. 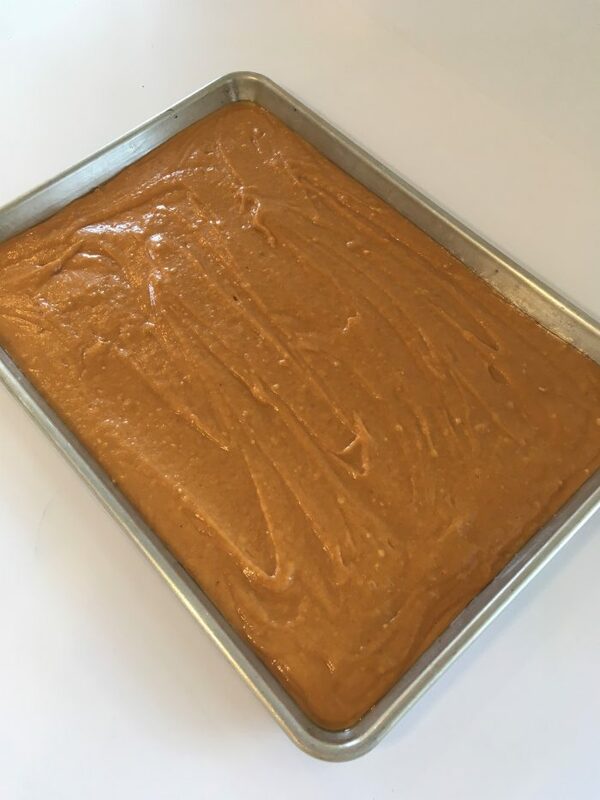 The original recipe, which I’ve adapted somewhat, came from some dear family friends who are well-known for their hospitality and delicious recipes. This soup is no exception! It is cheesy, filling, and perfect on any chilly day of the year. In a large sauce pan, heat oil over medium heat. Add onions and cook until translucent. Stir in garlic and remaining spices except salt and pepper. Saute for 2-3 minutes. Add chicken, beans, chilies, broth, and 12 ounces cheese. Simmer over low heat for 15 minutes, stirring occasionally. Add salt and pepper to taste, if needed. Ladle into bowls and sprinkle with remaining cheese. Growing up, my mom would serve this quiche for Christmas brunch. She always made it with Swiss cheese, evaporated milk, and sausage, and we all LOVED it! As a child, I always categorized this as a “special” meal. I was pleasantly surprised once I got old enough to cook to find that it was much easier to make than I had imagined! Once I started paying my own grocery bills, I appreciated it even more – it relies on basic ingredients that don’t cost a fortune. Meat Potato Quiche is completely flexible. You can use any kind of leftover meat, or substitute chopped cooked vegetables for a vegetarian version. Feel free to mix up the cheeses, or add extra milk and eggs to stretch it a little further. If you are hosting a brunch over the holidays, this is a fabulous recipe to include. You can even make it up the night before and wait to cook it until the next morning – freeing up your kitchen time to do other things. Preheat oven to 425 degrees. In a 9-inch pie plate, mix the potatoes with oil or butter and press evenly into pie crust shape. Bake at 425 for 15 minutes or just until beginning to brown. Remove from oven and layer on the cheese and meat. In a bowl, beat eggs, milk, salt and pepper. Pour this mixture on top of the other ingredients and sprinkle with parsley. Bake for 30-45 minutes, or until knife inserted 1-inch from edge comes out clean. Let cool 5 minutes before cutting into wedges. If you’re looking for a hearty and healthy way to use up some of that leftover Thanksgiving turkey, this recipe is for you! My mom often made this filling soup during the fall and winter months, and I loved how it smelled while simmering on the stove. It’s especially great if you’re feeling a little under the weather. Or when you need to counteract some of those high-fat caloric Thanksgiving foods. Ahem. The original recipe, published in the Taste of Home magazine, calls for a whole chicken. As far as I can remember, my mom always made it that way. If I have leftover cooked chicken or turkey, I use that instead to save me some time in the kitchen. This soup is very versatile, and you can easily adapt it to whatever you have on hand. Add in some fresh homemade bread or muffins, and you have a satisfying, budget-friendly meal that your family—and waistline—will thank you for! If using a whole chicken: Combine chicken and water in a large kettle and cook until chicken is tender. Remove chicken, cool broth and skim off fat. Debone the chicken, cutting it into bite-size pieces. Add the chicken and all the remaining ingredients to the pot. Simmer, covered, for at least one hour, or until vegetables and barley are tender. Remove bay leaf. This was one of our favorite recipes that my Mom would make for special holiday meals! It was a regular on the table for Thanksgiving, Christmas, and Valentine’s Day. The rest of the year we ate store-bought, unsweetened applesauce – so this homemade applesauce was a treat we always looked forward to! 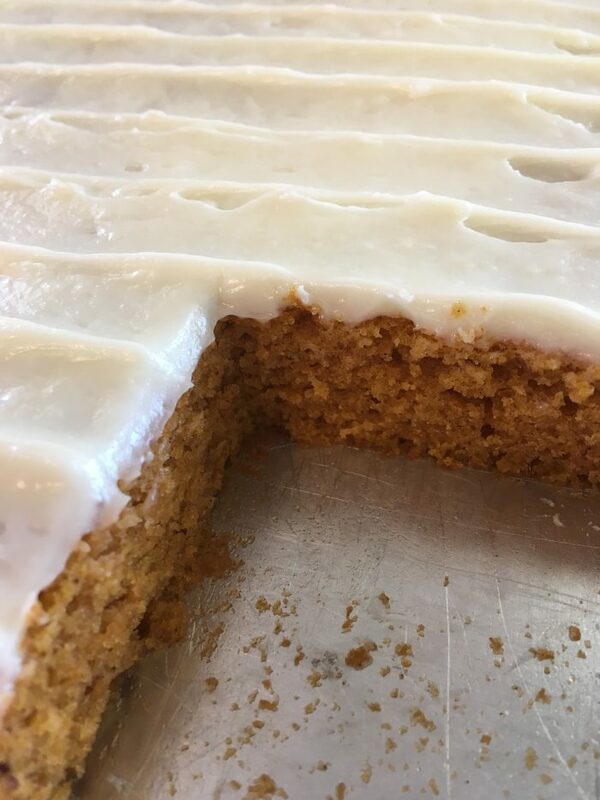 We clipped the original recipe from a Taste of Home magazine many years ago, and have made it countless times since then. It pairs fabulously with traditional holiday foods like turkey and ham, I love the festive pink color it adds to the menu (am I the only one that likes having a variety of colors on my plate?). As an added bonus, it smells amazing while simmering on the stove! It can also be made up ahead of time, which is really important when we’re talking about holiday meals. You won’t find many recipes with a shorter list of ingredients! And apples are cheap this time of year. 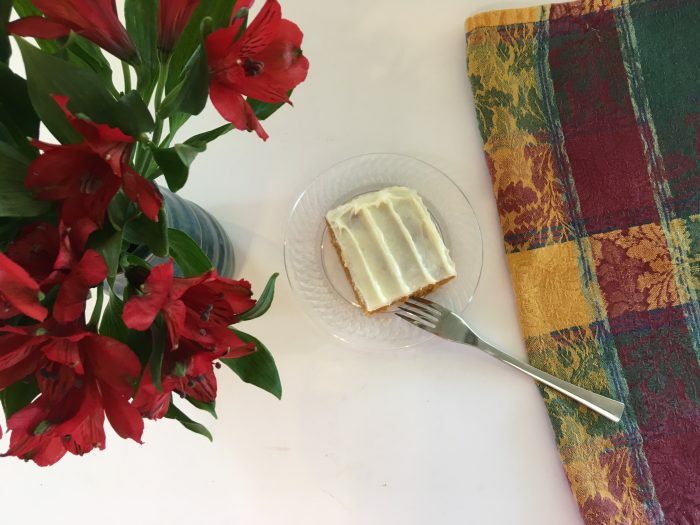 If you’re looking for something simple-yet-elegant to add to your holiday menu, you must give this recipe a try! Cover and cook apples and water in a 5-qt saucepan over medium-low heat for 20 minutes or until tender. Mash apples until desired consistency. Cook, uncovered, until sugar and candies are dissolved, stirring frequently. 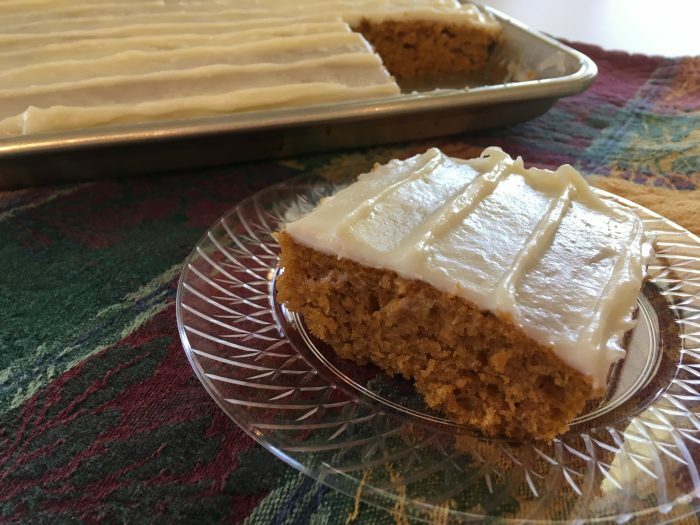 For as long as I can remember, this church cookbook recipe has been a family favorite during the fall months. 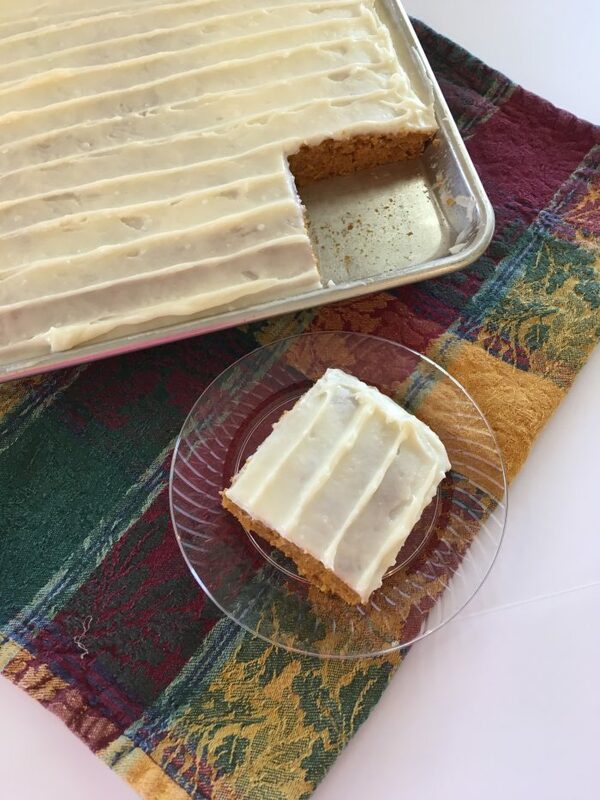 In fact, we like them so much that these delicately flavored sweet-but-not-too-rich bars have been a welcome addition to our Thanksgiving (and Christmas) dessert table on more than one occasion! They capture some of my favorite tastes and smells of the season. 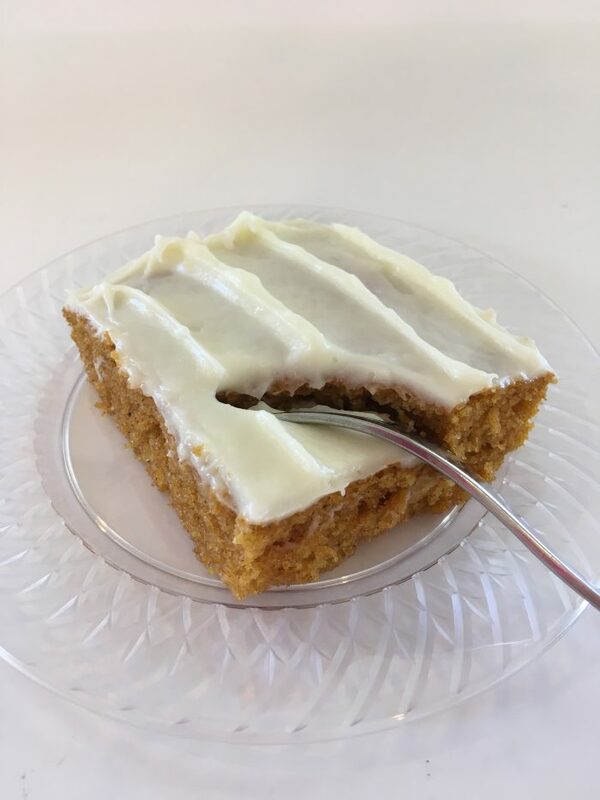 Since these pumpkin bars are easy to make and the recipe makes a huge pan, they are perfect for serving to company or bringing to a harvest party. They also freeze beautifully (and thaw extremely quickly! ), staying incredibly moist without getting soggy. 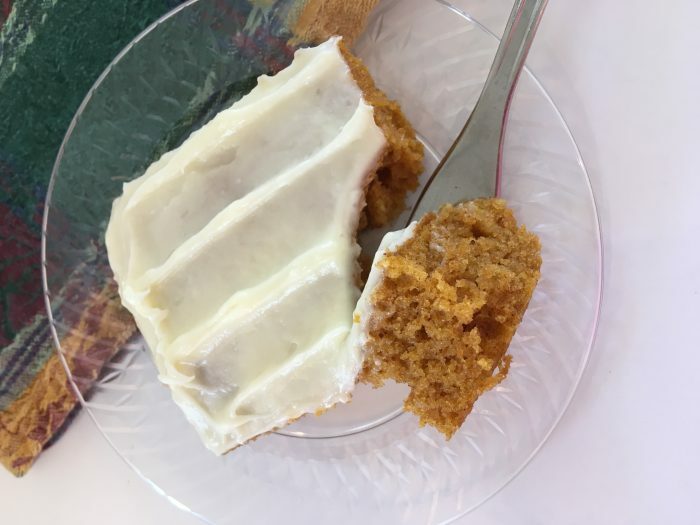 I have made these several times in the past month, and have gotten rave reviews and recipe requests everywhere I’ve taken them! 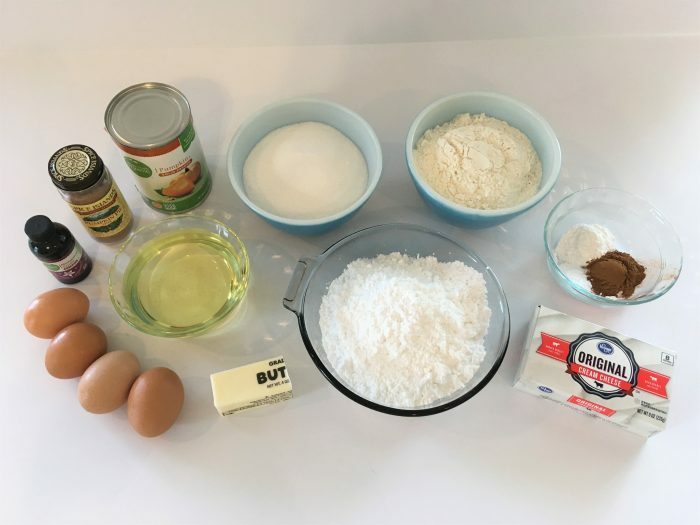 Mix together first four ingredients with an electric mixer until well blended. 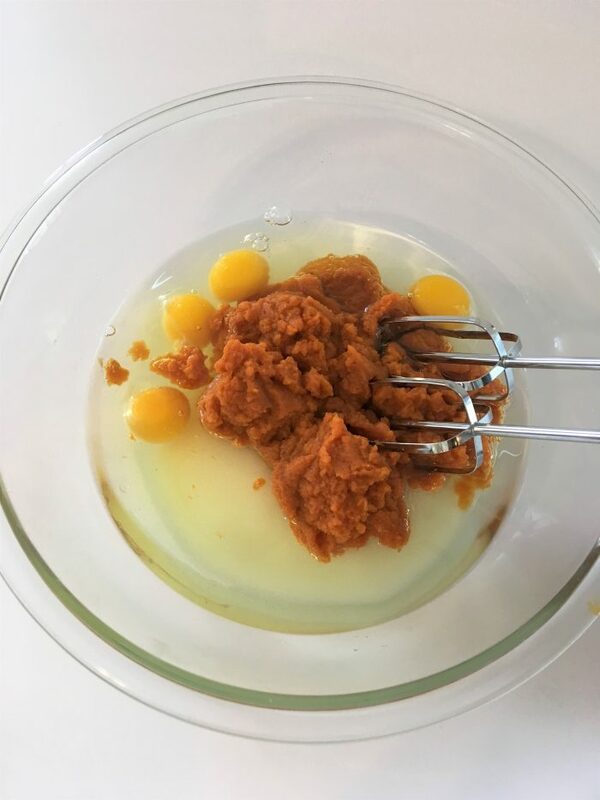 Add next 5 ingredients and mix well. Stir in nuts (optional). Pour into greased pan and bake 20-25 minutes or until done. 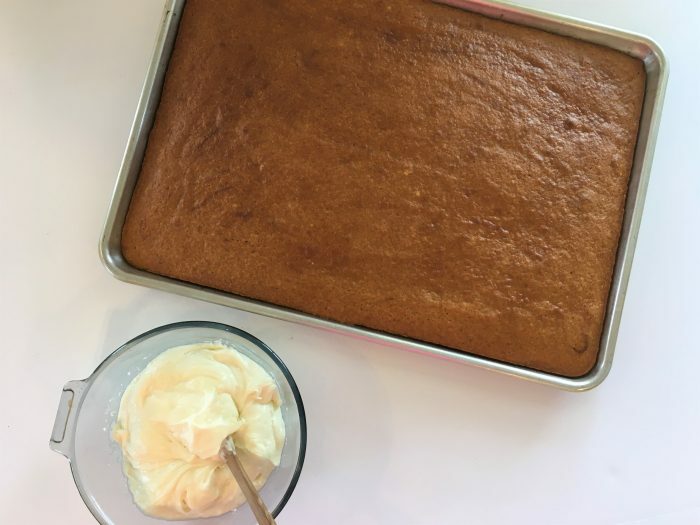 Beat frosting ingredients together and spread over cooled cake. Dill Bread is one of our favorite bread recipes! This flavorful loaf is perfect for Fall, since it goes fabulously with hearty soups and stews. My Mom often served it with Italian dishes like spaghetti and lasagna, and there were rarely any leftovers (probably because some of us children liked this bread even more than the main dish – and we love lasagna!). The original recipe comes from a church cookbook published many years ago. I’ve adapted the dough for the bread machine to make it easier (it actually turns out even better for me that way), but I’ve also included the original by-hand instructions. While it’s absolutely amazing fresh from the oven slathered with butter, it also makes incredible grilled cheese sandwiches the next day! By Hand Instructions: In a large bowl, combine 1 ½ cups flour, sugar, dill weed, minced onion, salt and yeast. Mix well. In a small saucepan (or microwave), heat milk and butter until very warm (120-130 degrees). Add warm liquid and egg to flour mixture and blend at low speed until moistened. Beat 3 minutes at medium speed. Stir in additional flour until dough forms a ball. Knead on a floured surface for 3-5 minutes, adding additional flour if necessary. Cover and let rise in a greased bowl in a warm place until doubled in size, about 50 minutes. Punch dough down and proceed with instructions for both methods. Bread Machine Instructions: In a 2-lb bread machine, add in this order (or in the order recommended by your specific bread machine manufacturer): cubed softened butter, sugar, dill weed, onion, salt, egg, and warm milk. Add 3 ¾ cups flour and yeast. Run the short dough cycle. Check at the beep and add additional flour if needed (for some reason, I have to use more flour in the bread machine vs by hand – so I sometimes add up to ½ cup more flour). Remove dough and proceed with instructions for both methods. Both Methods: Shape dough into a round loaf. Cover and let rise on a greased cookie sheet until doubled in size, 30-45 minutes. 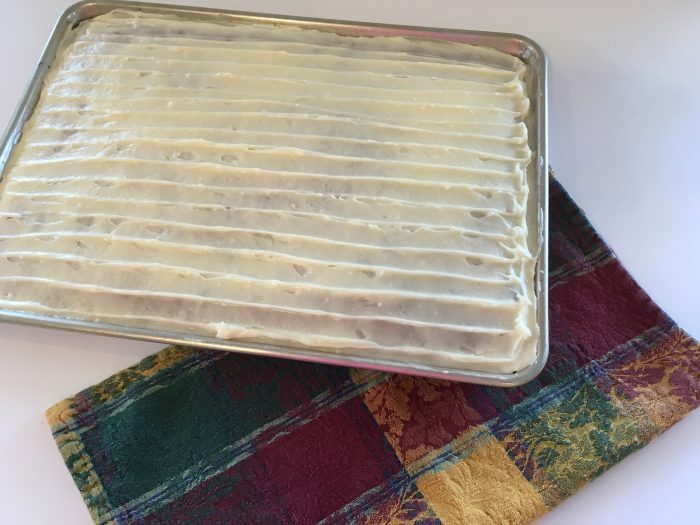 Bake in a preheated oven at 400 degrees for 20-30 minutes, or until done (cover with foil if necessary to prevent overbrowning). Brush top with additional butter if desired.